The Geek Culture Forums! : Na na na na na na na na Bat-Fetus! » The Geek Culture Forums! » News, Reviews, Views! » Your News! » Na na na na na na na na Bat-Fetus! Author Topic: Na na na na na na na na Bat-Fetus! 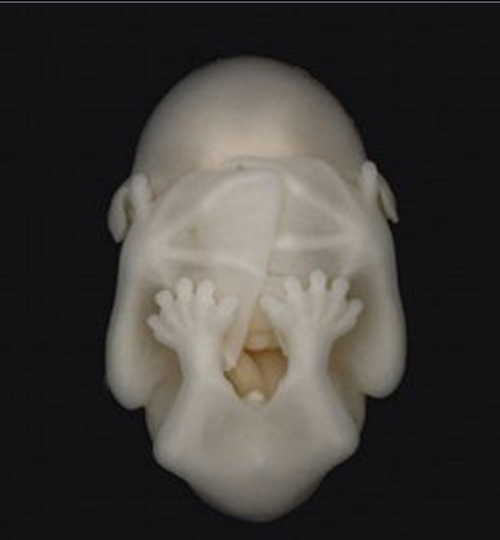 No, really ... bat fetus. It will be the cutest fetus you will ever see in your life. Also could be titled "peekaboo!" See, they start out all cute & cuddly, then next thing you know they're all tangled up in your hair. OK, I don't know where I'm going with this. I don't where you were going with that either. Also, bats don't get normally tangled in people's hair. That's an urban legend. Yeah, I know, I was just playing off the myth... poorly.